Kids need some school supplies? Head to Target. Looking for a cute table lamp? Head to Target. Need some affordable new workout clothes? Head to Target. No matter what you need (aka want) chances are you’ll be able to find it at Target. I don’t know why I haven’t thought about writing this post sooner but it just dawned on me the other day when I was there shopping for a wall shelf I desperately needed (ahem…wanted) that you could literally find whatever you need there. 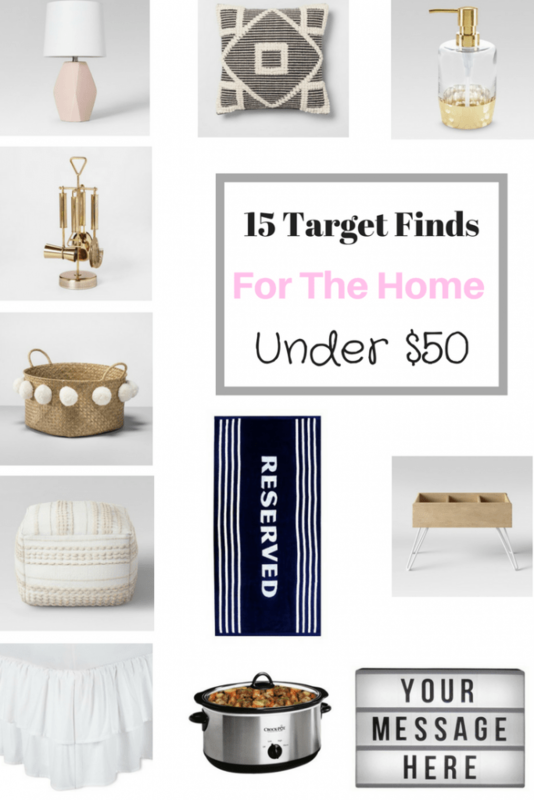 So – In this addition of Target finds I’m sharing my list of current favorite target finds FOR THE HOME under $50. 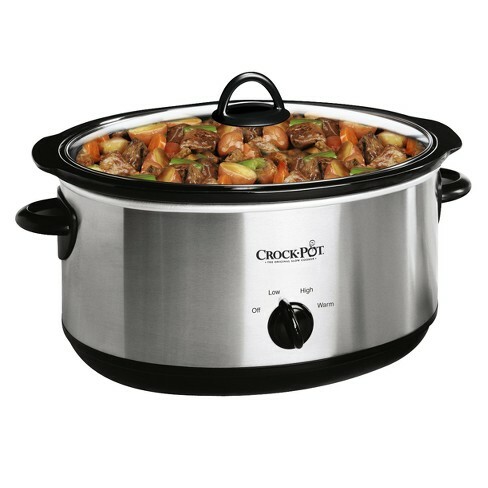 Crock Pot – I feel like we’re always on the go and having a crock pot handy is perfect for those days when you just don’t have time to cook. Set it in the morning and forget about it until you get home and it’s time for dinner. DIY Light Box LED – I love decor that allows for creativity while still being functional. 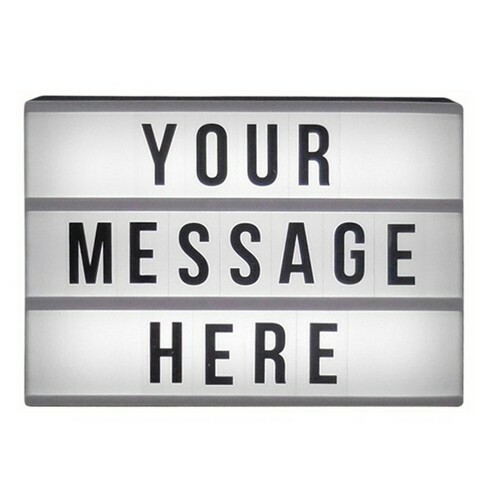 Change the message on this light up box with letters, numbers and symbols and hang the product wherever you see fit! This would be the perfect additional to a children’s room! Ceramic Table Lamp – Is this lamp gorgeous or what?! 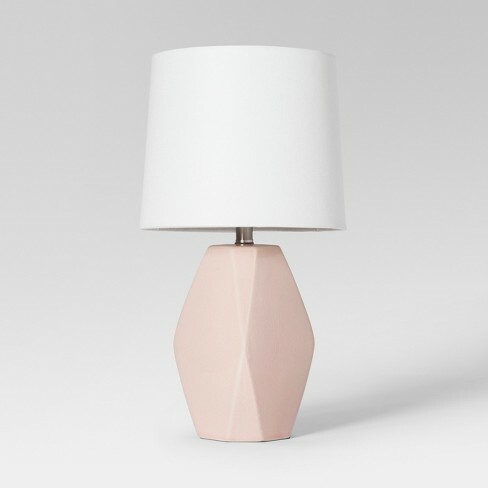 I happen to be a lover of all things blush pink and this dainty yet bold lamp is something that I need immediately. It’s the perfect mix of function and style. I can picture this in a white office, a front entryway or a little girls bedroom. 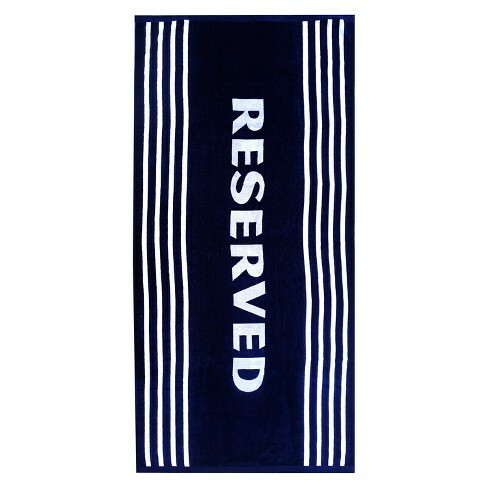 XL Beach Towel – Made of 100% cotton velour the towel is not only great quality but also has the cutest design! With summer quickly approaching it’s the perfect thing to have tucked away in your car for those impromptu beach trips! 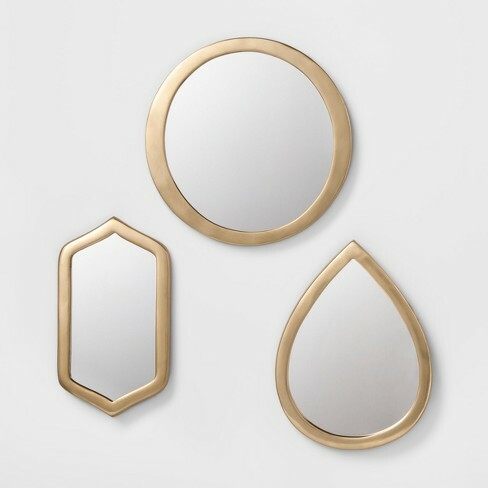 Decorative Mirror Set – The different designs of this gold mirror set makes it easy to find several uses for it. Keep them together to give dimension to a bare wall or use them separately to complete small spaces in any corner of your home. Low Profile Bookcase – Forget about those Bookcases on the wall that the kids always climb onto. 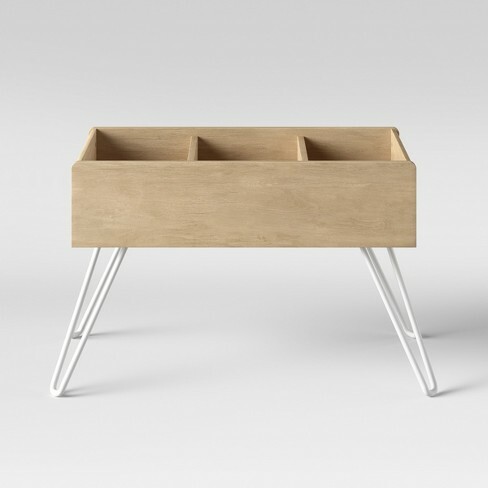 This modern yet sleek bookcase is the perfect size for your little ones. Not only does it serve a great organizational purpose but it doubles as super cute decor, too. 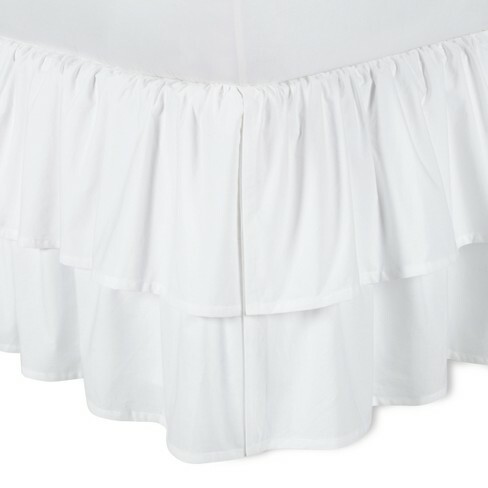 Double Ruffle Bed Skirt – The simplest way to dress up a boring bedroom is with a pretty little bedskirt. The crisp white color will keep the room looking fresh and will help to brighten the room at the same time. 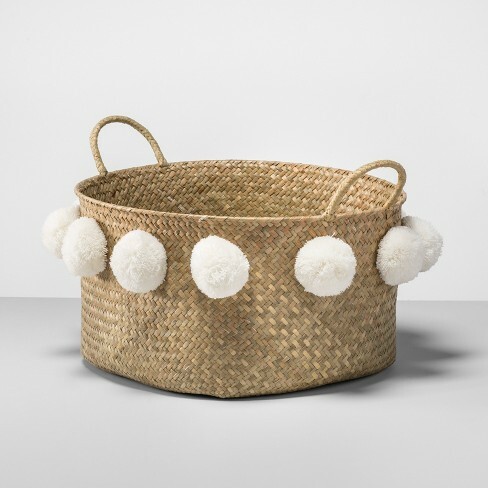 Pom Pom Basket – Ok, I have to admit. I saw this and bought it right away with no idea how I was going to use it. But now that I’ve had some time to think about it I think it would be perfect in our entry. 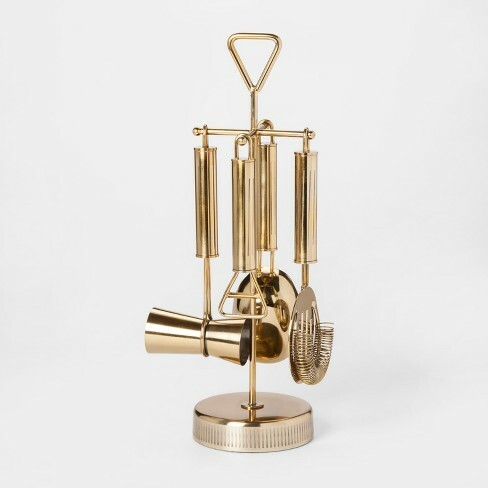 Whether we’re throwing keys and mail in it or using it to bring a few things upstairs it’ll be a great piece to have that doubles as functional and decorative. It would be really cute in a bathroom for hand towels, wash clothes, etc.! Neutral Textured Pouf – For smaller spaces this pouf would be great in place of a foot rest and brings character to any room with the textured design. 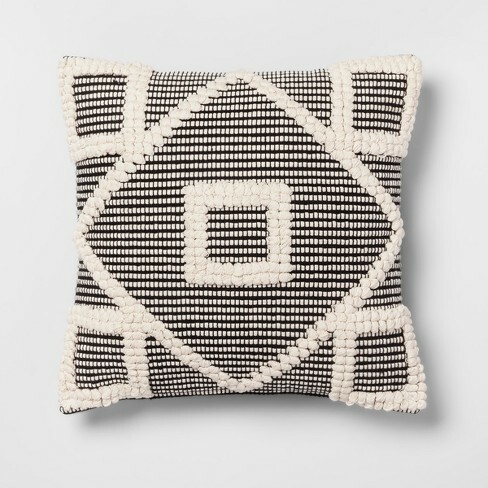 Black Diamond Throw Pillow – With a unique design this pillow can spruce up any room in the house. 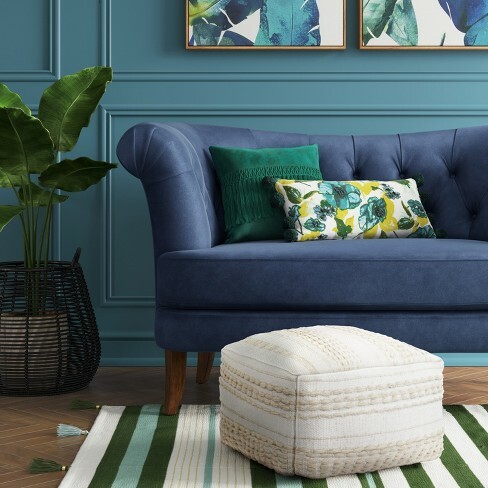 I love adding throw pillows to accent chairs, sofas, settees, etc. I love to add some neutral design pieces in that have a bit of texture or intricate design work to help bring areas alive without being too bold. For under $20 this pillow is such an affordable way to add some life to your space! Stainless Steel 5 Piece Gold Barware Set – I obviously have a thing for gold. I just think it adds a nice touch to pretty much any space without being too overbearing. If you like to entertain this set is a great addition to your bar cart or wet bar. It includes every piece you could need for crafting and creating your own cocktails while keeping your space chic. 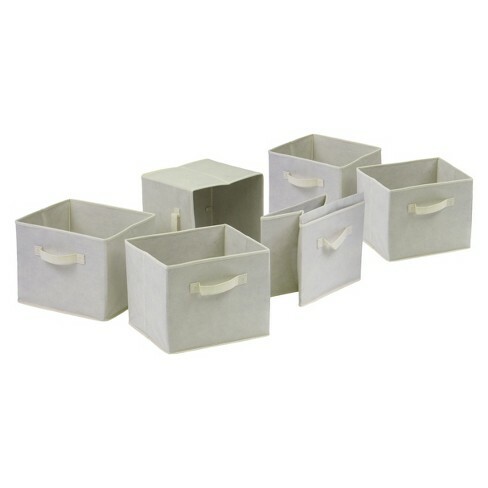 Foldable Fabric Baskets – If you have kids you know that keeping their things organized is SO difficult. I’ve been using these been for a few years now because not only are they easy to pack up and move around when not in use but they’re also really lightweight and super affordable. My kids have drawn on and destroyed way too many things for me to spend a boat load of money on something that will likely be used in the play room! Aside from a playroom they’re perfect for garages and sheds, offices and basement storage! 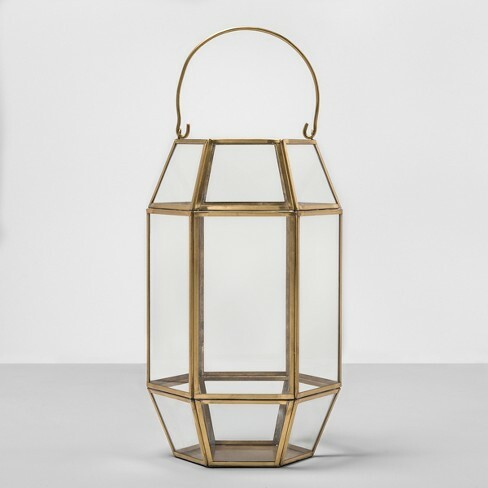 Outdoor Lantern – This Outdoor Lantern is the perfect finishing touch to any outdoor space. 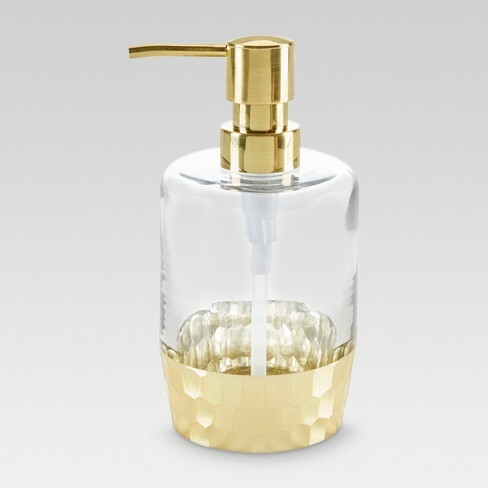 With gold finishes, glass covering and open top for candle heat is also great for indoors. It can be easily transferred inside as well with the top handle and you can switch out different colored/scented candles to keep things fresh. 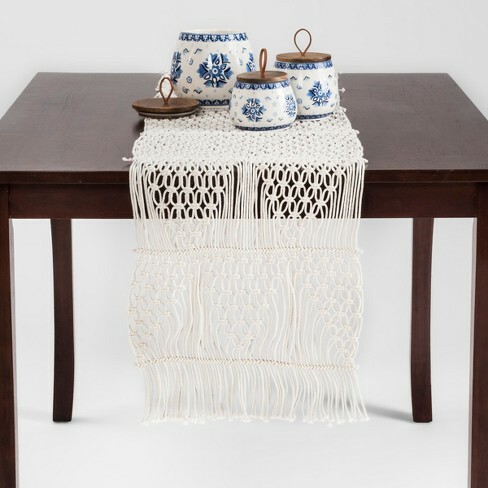 Macrame Table Runner – If you’re going for a boho-chic vibe this macrame table runner is the way to go. It gives off a not-trying-too-hard vibe yet still makes the space warm and inviting while being effortlessly chic. The off white color is perfect to blend in with any other decor in the room and the material is machine washable! There are obviously soooo many more great Target Finds but these were just some that really stood out to me. If you’ve found some other great finds there recently I’d love to hear them! You can view the entire Opalhouse Line at Target here. Looking for more shopping related posts? Check here.